Located just north of Philadelphia, Arcadia University’s Glenside campus offers IPCR students the best of two worlds: proximity to a major metropolitan city and a small, close-knit suburban community. 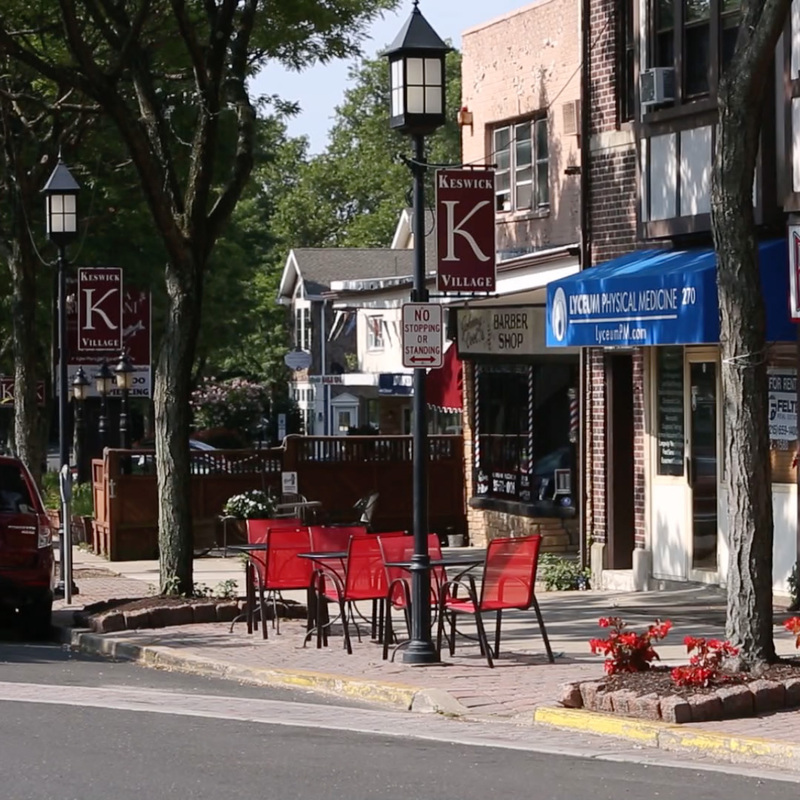 It’s just a short walk from campus down Easton Road to experience the small-town charm of Glenside. Here you’ll find the renowned Keswick Theatre, locally-owned cafes, bars, shops, and restaurants. Learn more about the area. Vibrant Center City Philadelphia is just 25 minutes from campus. It’s easily accessible by car, bus or train. As part of its Quaker heritage, the city embraces diversity and open-mindedness. It offers historic sites such as Liberty Bell, the oldest farmer’s market in America, year-round professional and college sports, world-class museums, gorgeous parks, restaurants, nightlife and street festivals. Learn all about Philadelphia and surrounding area at VisitPhilly.com. Most of our students live in the northwestern part of Philadelphia for easy access to campus. Our students recommend neighborhoods such as Mount Airy, Chestnut Hill, and Germantown. Others live closeby campus in local off-campus housing. Public transportation is readily available if you wish to live in Center City Philadelphia. The university is conveniently located near Route 309, the Pennsylvania Turnpike and Route 611, making it an easy commute from suburban locations as well.